We offer a suggested preload measurement for each bike as a starting point in the Product Search and DVS. Our suggested measurement should create the correct race sag if the spring rate is correct for the rider's weight. 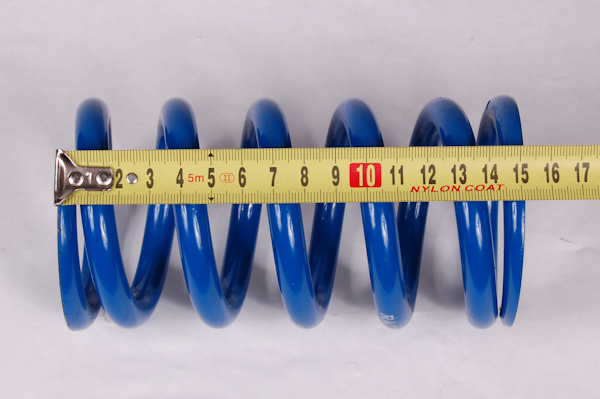 In the photos shown below, the free length measures out to 151mm. 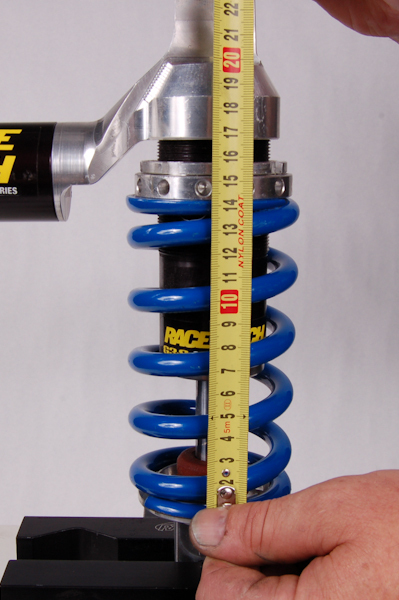 The installed length measures at 142mm. Which tells us our spring preload is 9mm.